Bunny rabbits and hares everywhere! 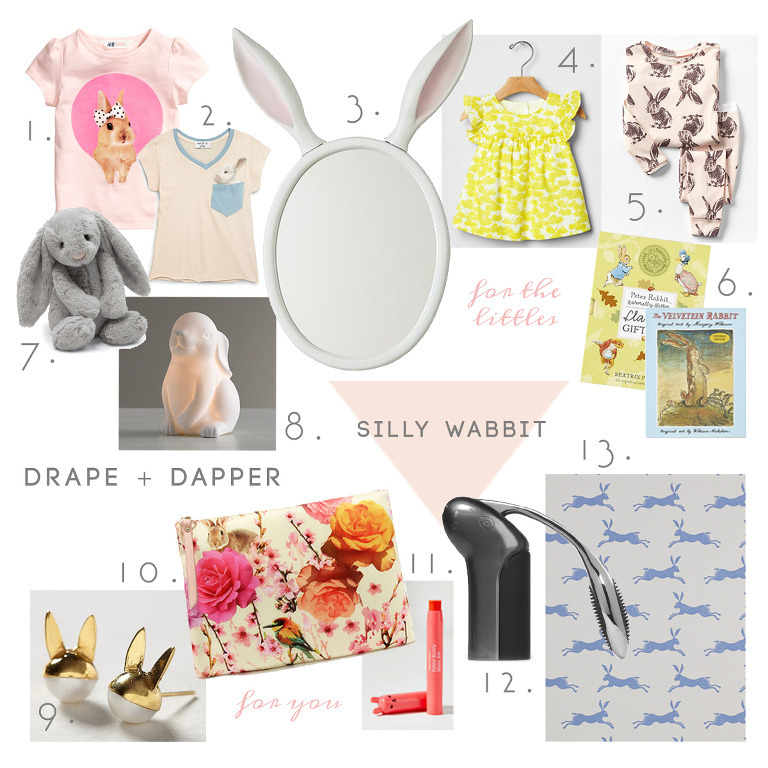 Even though Easter is fast approaching, I don’t think it is coincidence that the bunny theme is trending (although, it wasn’t coincidence that we waited to do this post until the week of Easter). We’ve been seeing these little woodland creatures popping up (no pun intended) in children’s decor, fashion and homewares. 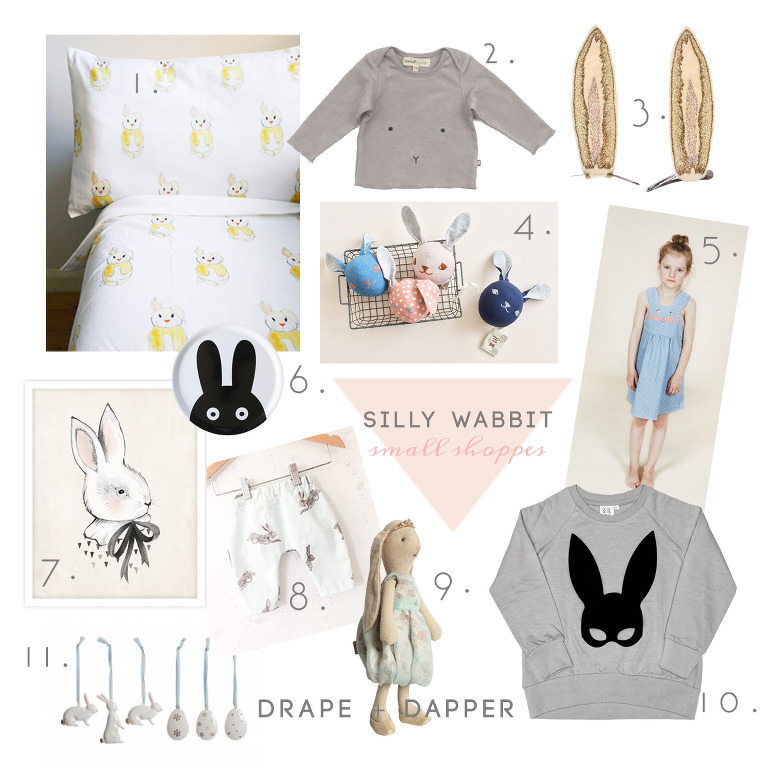 We curated our favorite finds from big shoppes and little shoppes alike and even found some hare wears to get YOU in on the trend (the hare wallpaper – sigh!). Don’t forget to check out our instagram account @drapeanddapper for easy links to all the cute little shoppes and daily doses of inspiration. We’ve discovered so many cute brands and unique items on instagram and love supporting small brands and businesses.